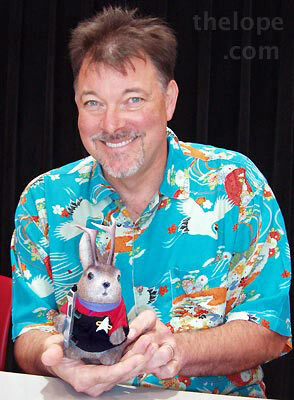 Our old friends at Trek Expo are starting their 2012 convention today. Guests include Jonathan Frakes of Star Trek: The Next Generation and other actors from various incarnations of Star Trek franchise, Battlestar Galactica and Babylon 5. Check out their website for details. The Master of Ceremonies is scheduled to be Garrett Wang of Star Trek: Voyager. 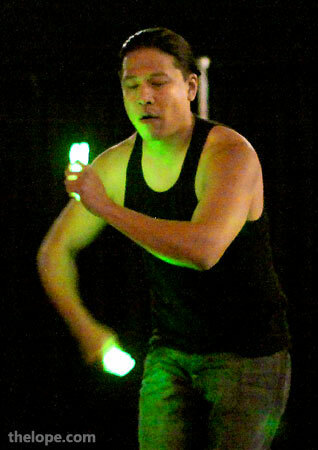 Here he is in 2010 doing a fire-spinning dance with glow sticks. Wang is a lot more fun than his Voyager character ever was. 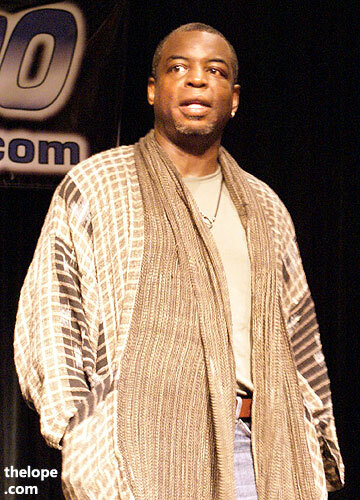 LeVar Burton, last there in 2008, is also scheduled to appear. After seeing Geordi LaForge on Star Trek: The Next Generation for so many years, Burton always looks odd to me without a hair band across his eyes.